Instant download! Suitable for Gender Neutral Events; for Boy and Girl! 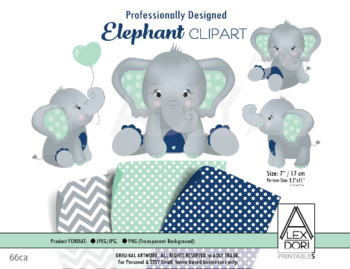 4 high-resolution Mint Green and Navy Blue, Gray Elephant clipart. Size: Each elephant is 7" high, 300 dpi (for professional printing). File Format: PNG (translate background), JPEG.